My kids will be back in school within the week, and I can’t believe I have a fourth and a sixth grader! How is this even possible?! It feels like they were in preschool and second grade only yesterday. Truly! My after school snacks have changed over the years. In kindergarten I’d make them bite sized and cute—typically little bites of apple with cinnamon and peanut butter on the side. Then we evolved to things like nachos bites and fruit kebabs. And these days they love granola bars! 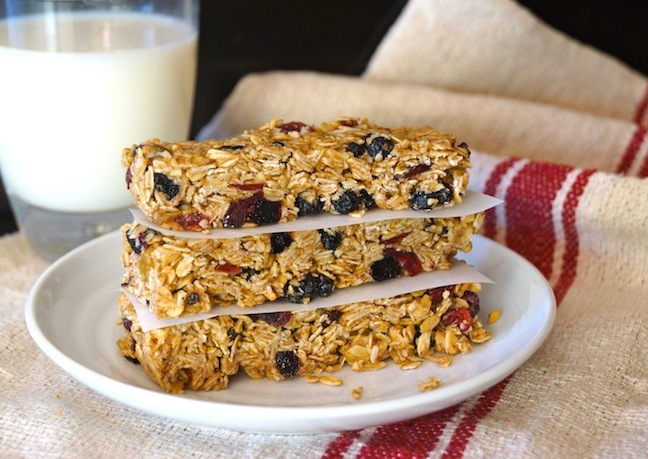 And I love that because they’re homemade, they can be packed with healthy ingredients, and they’re so easy to make ahead to eat all week long, like this mixed berry granola bar. Perfect with a cold glass of milk, to boot! 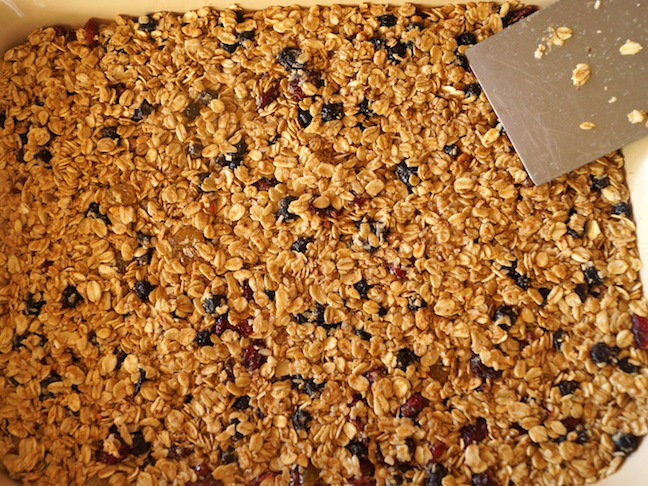 Step 1: In a large mixing bowl, combine the oats, berries, coconut, almond meal, cinnamon, and salt. Set aside. Step 2: In a small saucepan, combine the honey, peanut butter, coconut oil, butter, and vanilla. Place it over medium-low heat and cook just until everything has melted together, about 2 minutes. Stir and remove from the heat. 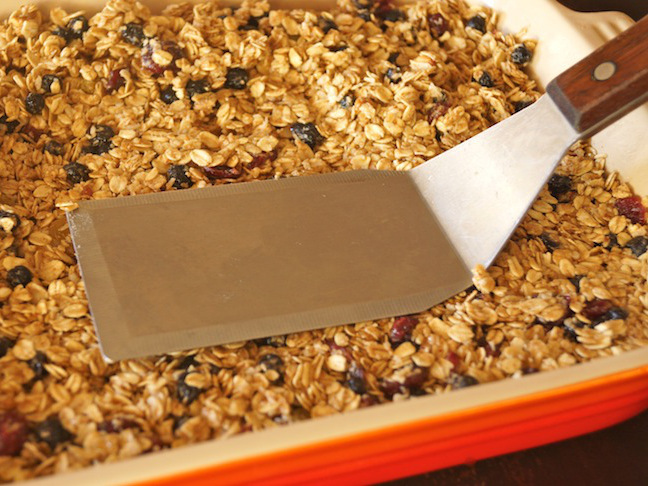 Step 3: Drizzle the honey mixture into the oat mixture and with a large spoon, mix until everything is evenly blended. Step 4: Pour the entire mixture into a 9 x 13 x 2 inch baking pan and then use a flat-bottomed, metal spatula to pack it down. Step 5: Cover the pan with plastic wrap and refrigerate for at least 4 hours so that it becomes firm.